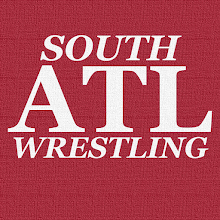 South Atlanta Wrestling: Two Prospective WWE Feuds I Am Fired Up About! As for the second, I adovocated STRONGLY for a Baron Corbin v Roman Reigns match at WrestleMania 35. We didn't get it there (and Corbin surprised me by getting the W against Kurt Angle), but for the same reasons I think it would be a lot of fun. Corbin is a legitimate heel in that he really gets great heat, and him and Roman have history together. The shot to the ribs for example really popped me. Much like Becky and Lacey, I think the personalities create a perfect conflict. Anyhow, I'm fired up about both.